Could health-promoting foods be made more appealing by using digital tools to enhance consumers' eating experiences? VTT Technical Research Centre of Finland has used Virtual Reality (VR) to amplify such experiences. 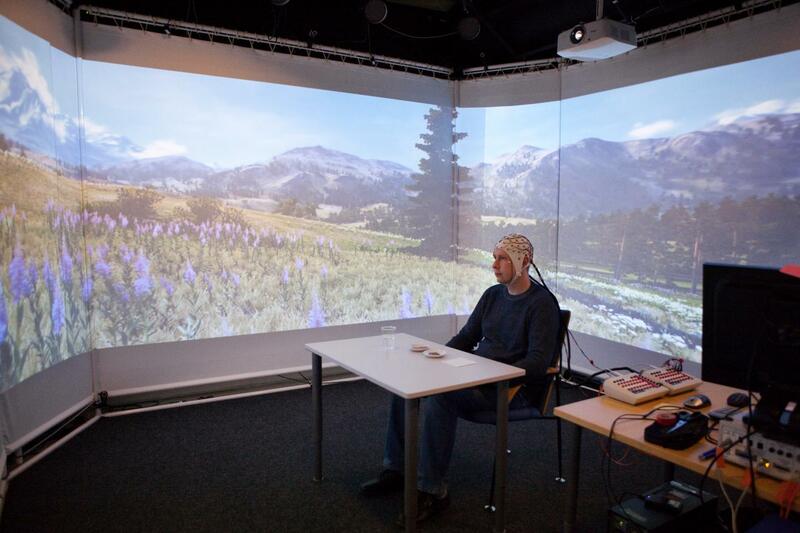 VR immersion had significant effects on brain signals and consumers' evaluations of the pleasantness of their eating situation and emotional responses. Healthy and nutritious foods are one of the key elements that support vitality and wellbeing. Health-promoting foods can be made more appealing by using digital tools to enhance food properties and the consumer experience. This is a novel approach that is raising interest in both the food and health industry. Many technical opportunities remain underused despite the fast development of digitalisation. VR and Augmented reality (AR) have huge potential to enhance and modify our perceptions of real-life experiences. "Now is the time to integrate these technologies with food, nutrition and human responses. New digital business across traditional sectoral boundaries will lead to novel opportunities for the digital and food industries," says Principal Investigator Nesli Sözer of VTT. The AR and VR immersed food experience approach is raising interest in both the food and health industry. AR and VR technologies markets are developing rapidly. Grand View Research Inc. has estimated that the markets will be worth EUR 96 billion by 2024. The driver of the project was the idea that health-supporting foods could be made more appealing by using digital tools to enhance consumers' eating environments and consequently their eating experience. The aim was to test how VR immersion affects consumers' sensory evaluations of snacks with a healthy and unhealthy image. Pleasantness and emotional responses to eating situations were also studied. The experiment was carried out in collaboration with Professor Roope Raisamo, in the CAVE environment at the University of Tampere. During the experiment, a total of 67 participants ate and evaluated healthy (rye nachos) and unhealthy (milk chocolate) products in three test environments; once in a blank control environment and then in two different VR environments (a sunny and rainy day). In addition, the brain activity and heartbeat of the 18 participants was measured using EEG and ECG. The study shows that VR immersion had clear effects on the consumers' self-reported evaluations of the pleasantness of their eating situation and emotional responses. Consumers were more peaceful and cheerful during the virtual sunny picnic compared to the rainy picnic. In contrast, they felt more lonely and worried during the rainy picnic. Based on the brain responses, it seems that the consumers were less certain about the rye nachos, but found chocolate more appealing, particularly during the rainy picnic. VR itself induced high activity in the participants' visual processing pathways, as expected; the onset of rain and wind caused particular agitation. No differences between the conditions were observed in consumers' sensory evaluations of snack products. These encouraging results indicate new opportunities for using AR and VR technologies to increase the attractiveness of healthy foods. VTT is currently exploring how to exploit such opportunities fully within the field of augmented eating experiences and is seeking industrial research partners from the business ecosystem.